Full Vapor ™ ~ E-Cigarette Reviews, Ratings & News! : V2 Cigs Sale - 10% Off Limited Editions! Hey all! Just wanted to let you in on a little "secret" sale going on now at V2 Cigs. They're offering 10% off their Limited Edition items...for two days only. The sale starts today (March 4th), and ends tomorrow on March 5th. If you're interested in saving 10% on V2 Cigs Limited Edition items, then be sure to check it out here. NOTE: The 10% discount is applied at checkout. In other words, the initial price you see is the "usual" price. Once you add an item to your cart and proceed to checkout, you'll see the discounted price applied. Not Familiar With V2 Cigs? In other words, we highly recommend them. However, if for some odd reason, V2 Cigs doesn't have just what you're looking for, then be sure to check out Volcanoecigs. Volcanoecigs is another well-trusted e-cigarette company with high-quality products and a long track record of customer satisfaction. 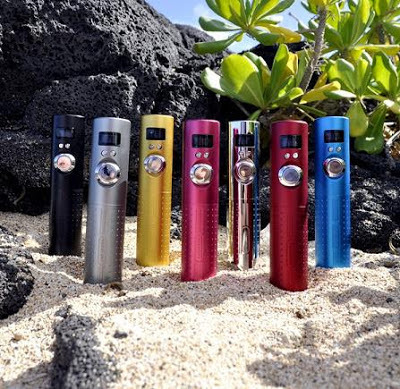 They're also the makers of the much-ballyhooed Lavatube Version 2 (pictured below), of which we cannot say enough good things! For example, take a look at our detailed Lavatube Version 2 Kit Review to get an idea of just how dang awesome this thing really is. Anyway, check out the V2 Cigs sale to get 10% off their Limited Edition e-cigarette products. And remember, the sale ends tomorrow on March 5th. So don't delay!